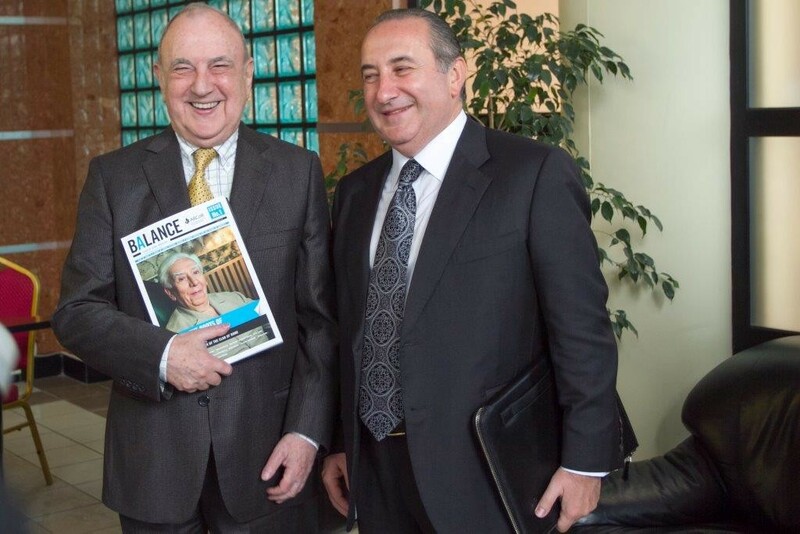 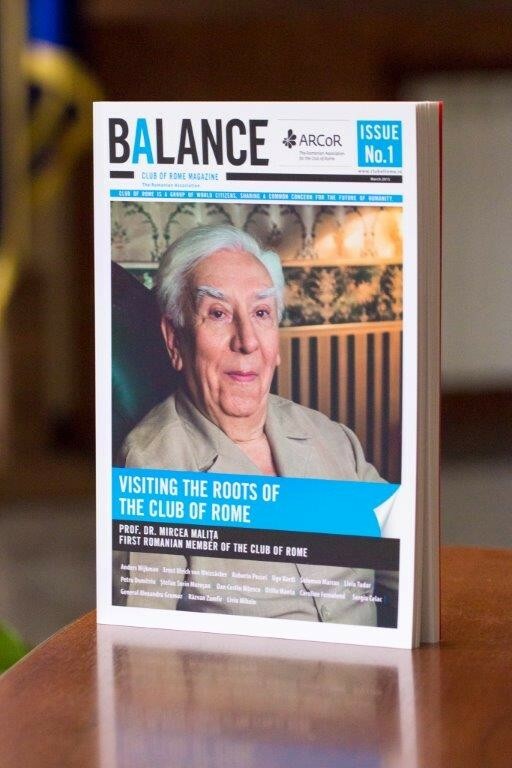 The Romanian Association for the Club of Rome has issued the first edition of “BALANCE, a Club of Rome Magazine”, following a year’s work, neccesary for creating the concept, the layout, the first summary and for receiveing all editorials from international and local guest writers. 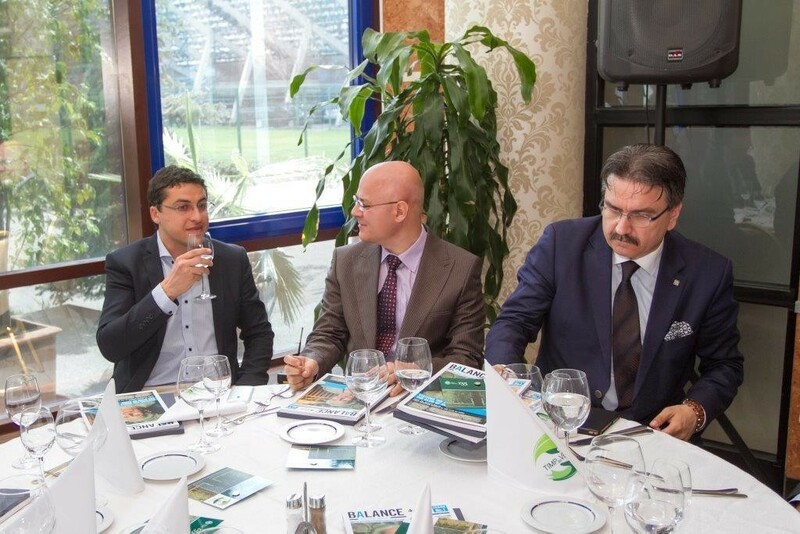 The event was hosted by the Club of the National Bank of Romania, located in the heart of one of the Bucharest green areas, a park that was saved and nurtured by NBR. 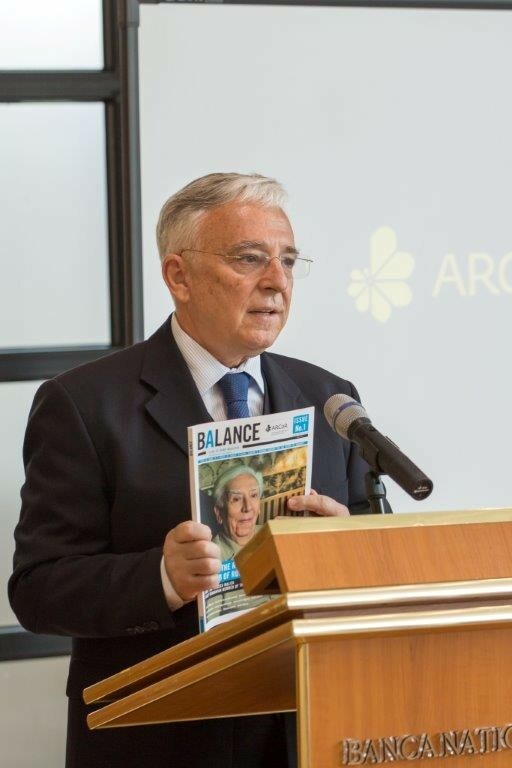 ARCoR is honored to announce that the magazine is featuring articles signed by His Excellencies Anders Wijkman – President CoR, Ernst Ulrich von Weizsäcker, Prof. Roberto Peccei – Vice President CoR, Prof. Ugo Bardi, as well as ARCoR members and journalists. 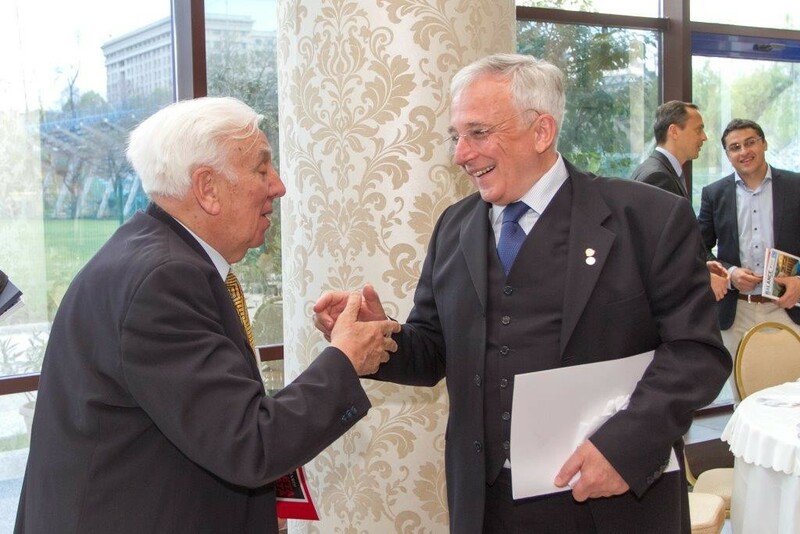 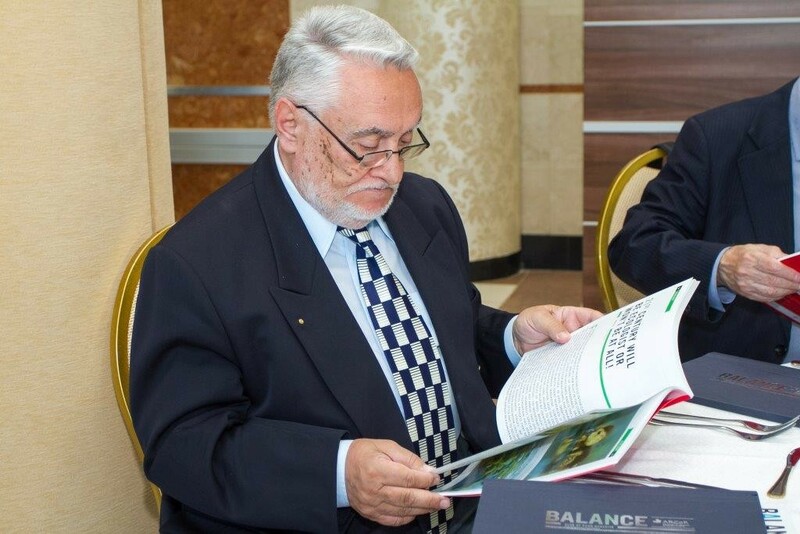 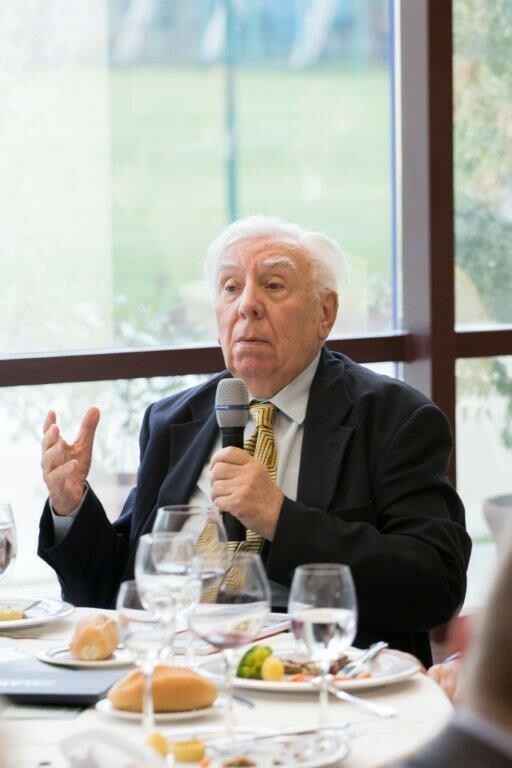 The cover story was dedicated to Academician Mircea Malița, the founder of ARCoR, the first Romanian member of CoR and co-author of the report to the Club of Rome, “No limits to learning”. 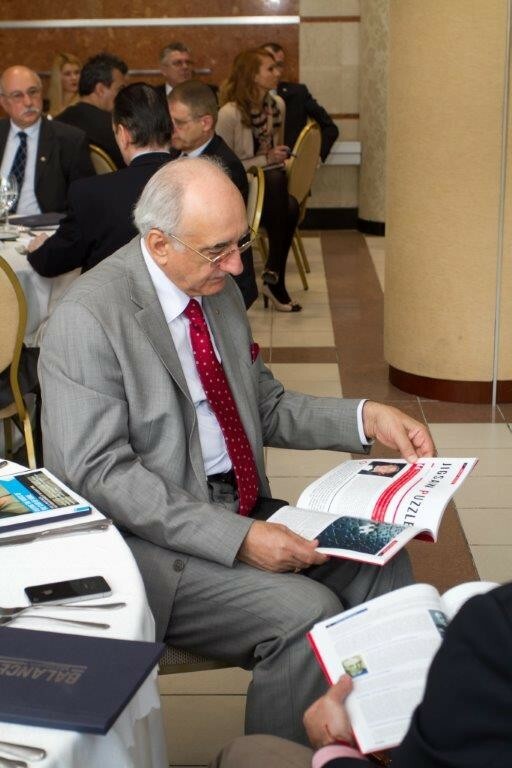 This bi-annual magazine aims to present the activity of ARCoR, CoR and of the national Associations; keep ARCoR members up to date as per the developments of other Associations and Chapters and connected with fellow members in print, and further disseminate the ideas of CoR. 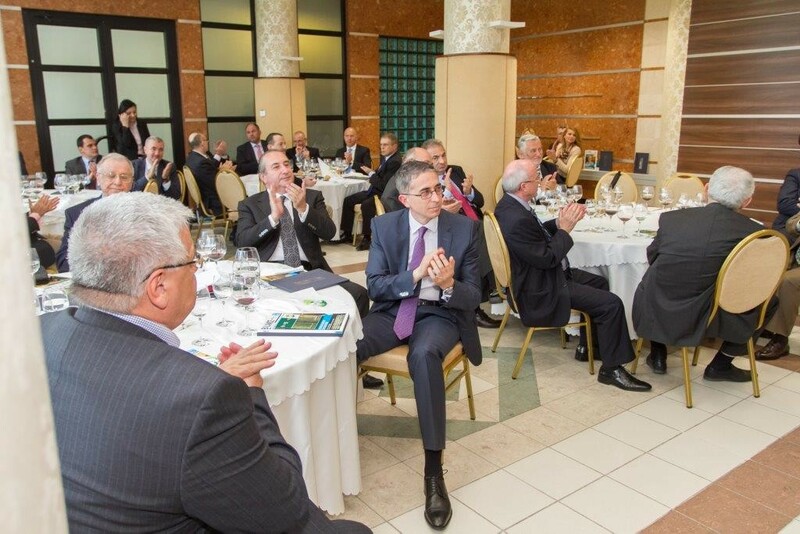 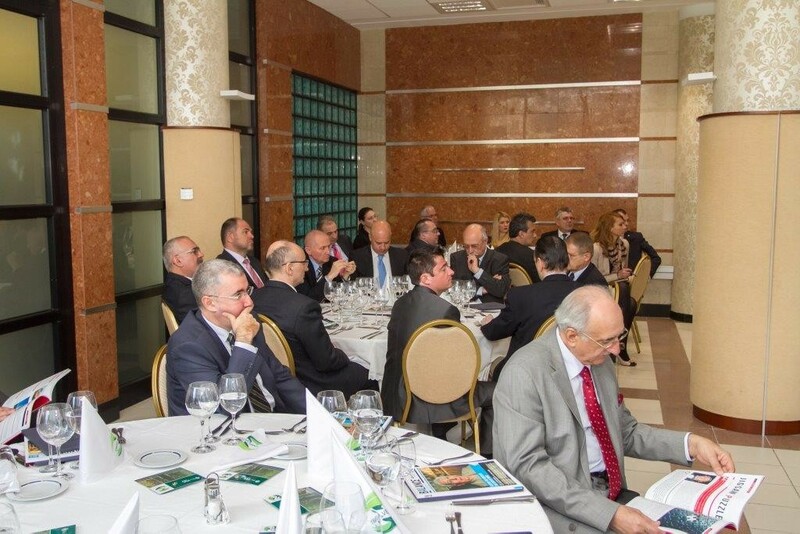 The launch event was welcomed by our members, being attended by the representatives of the Executive Committee of ARCoR, Honorary Members and personalities from the world of science, education, diplomacy, governance, business and banking. 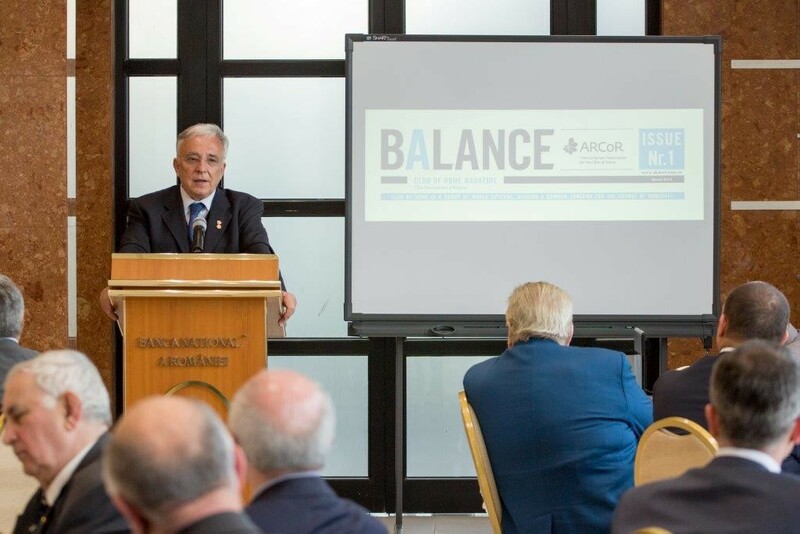 The President of ARCoR, Mugur Isărescu, opened the festivity with a speech about the importance and the potential of BALANCE, noting on the quality of the first issue and looking forward to the next edition. 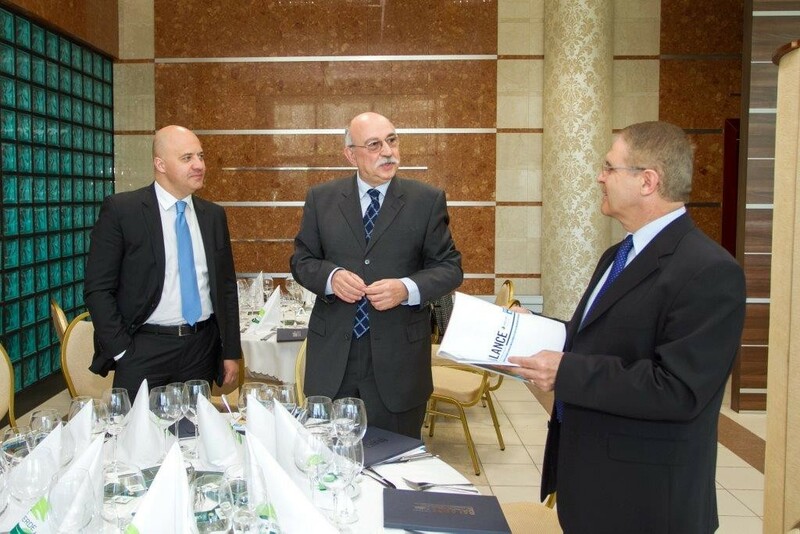 He also honored the editorial team, coordinated by Secretary General Liviu Tudor, with congratulations and encouragement for the work ahead. 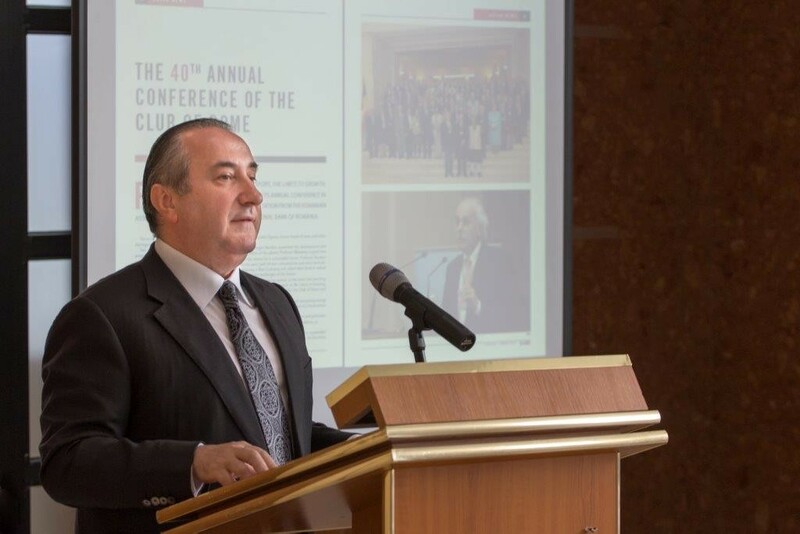 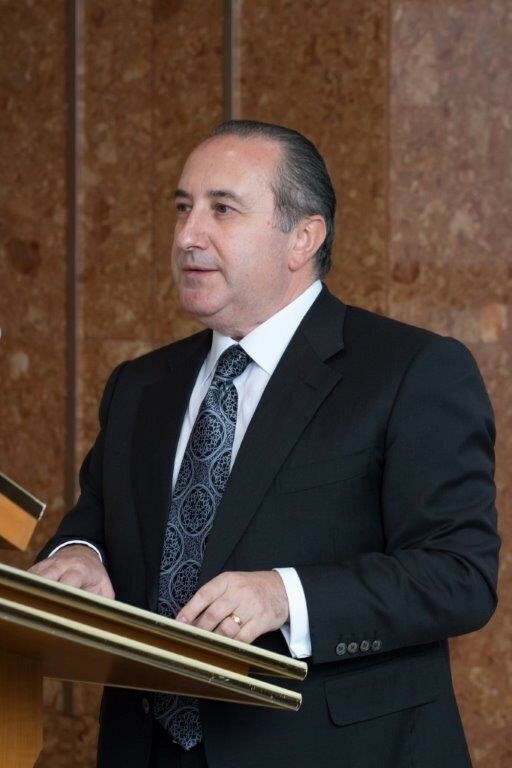 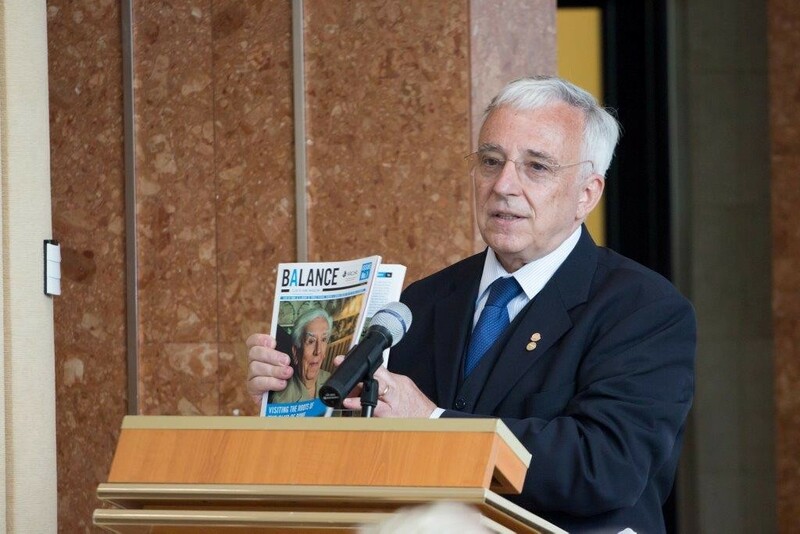 As Chairman of BALANCE, Mugur Isărescu spoke about the importance of Romania, past and future, a country that still has many to remember, such as being the host of the first international Futurology Conference ever held, or being a country that has an identity that is yet to be discovered by neighbors, partners and friends. 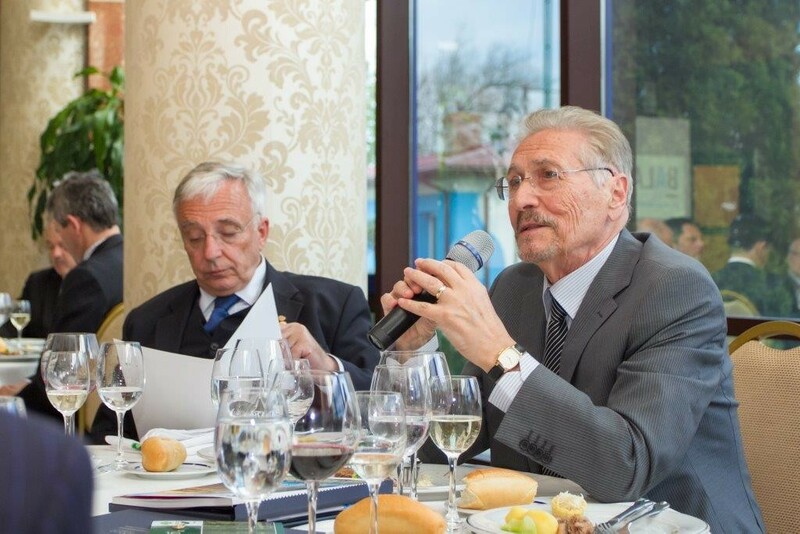 He also added that ARCoR will keep searching for ways to further promote CoR values and ideas and to contribute to the growth of Romania as a soft power. 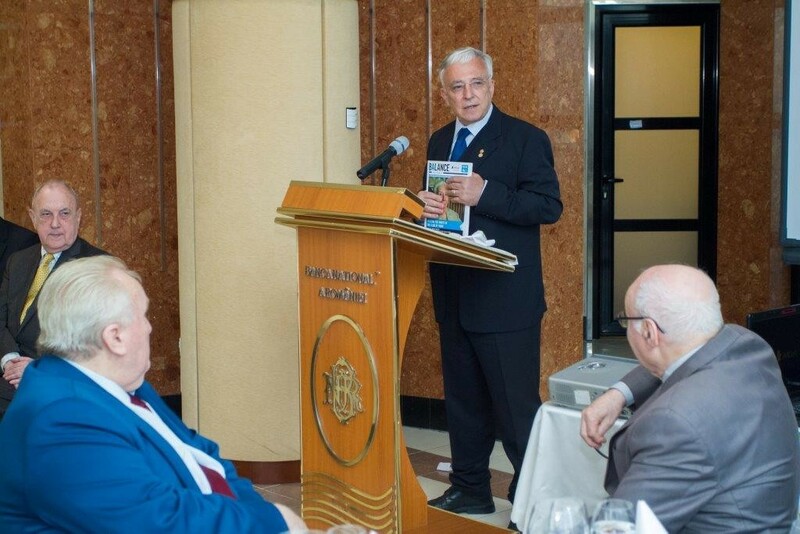 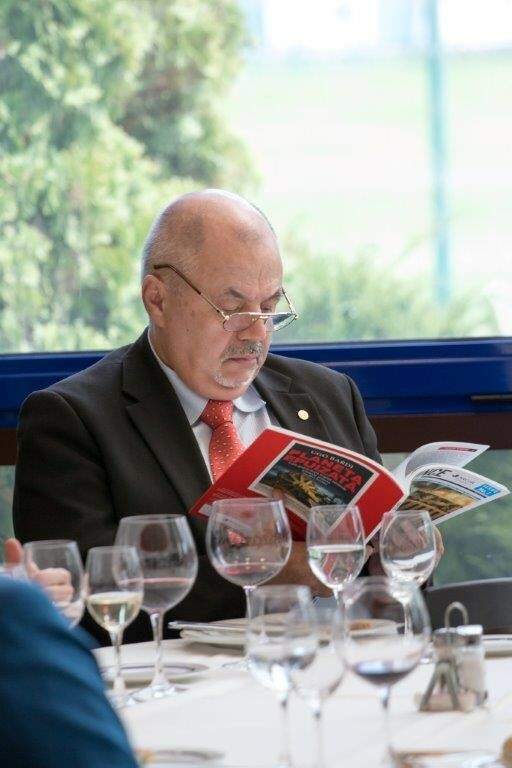 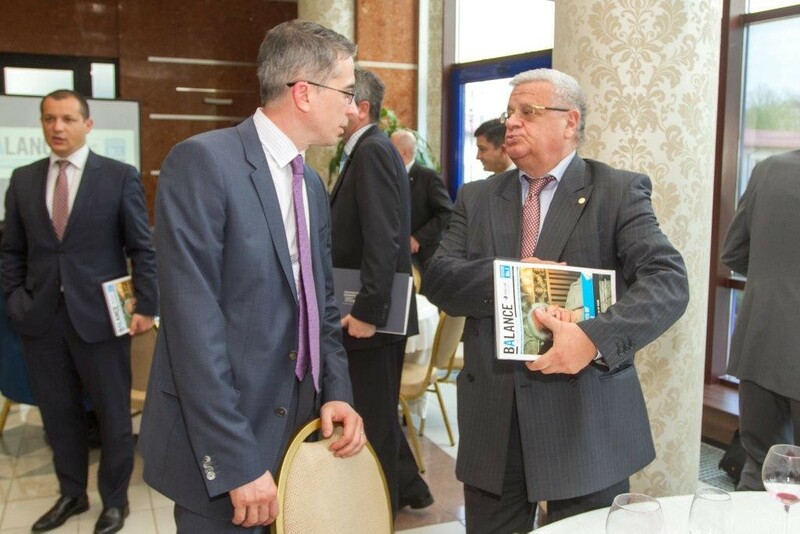 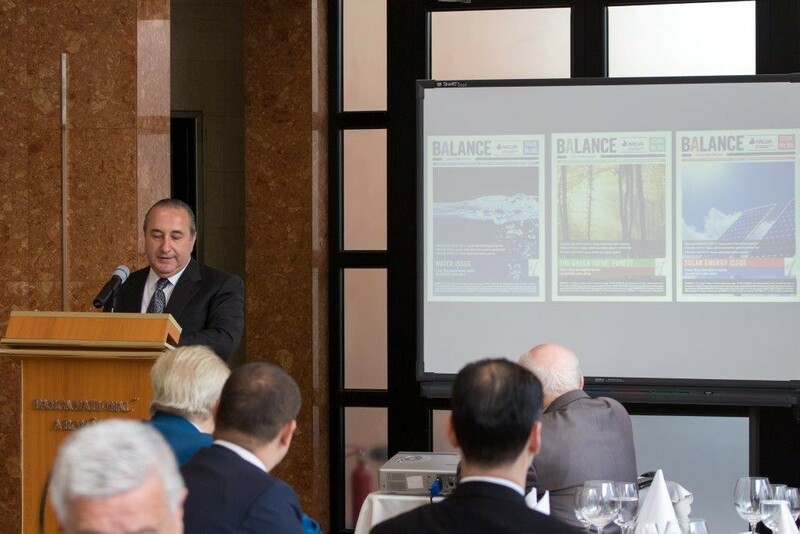 His speech was followed by a presentation of the magazine content and purpose, delivered by Director of Balance and Secretary General, Liviu Tudor. 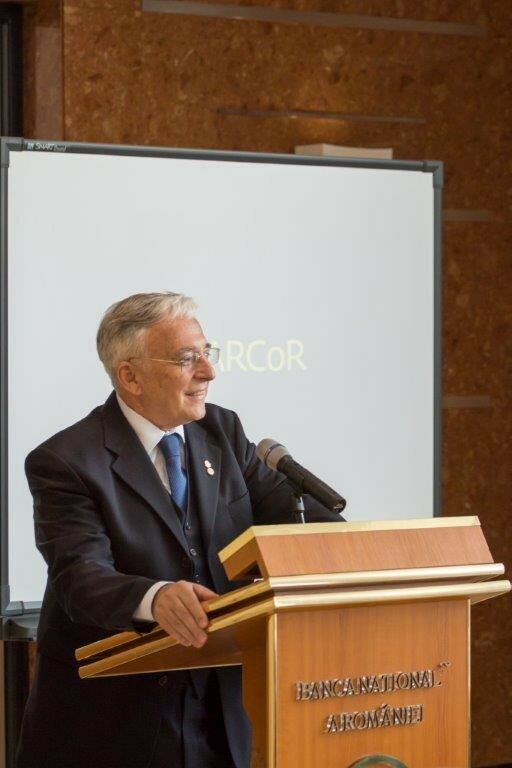 He thanked the CoR and ARCoR members for their valuable contribution, noting the support of President Mugur Isărescu and the help of Ambassador Sergiu Celac in comprising the summary, while also presenting the editorial team. 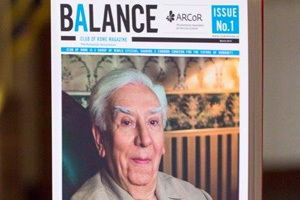 Liviu Tudor invited the members of ARCoR to provide feedback and ideas, as he has already begun the editorial meetings for the second issue of BALANCE. 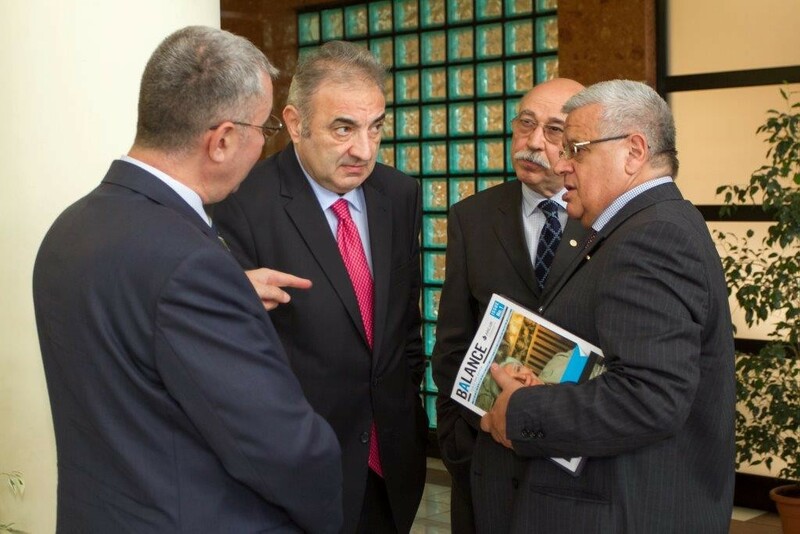 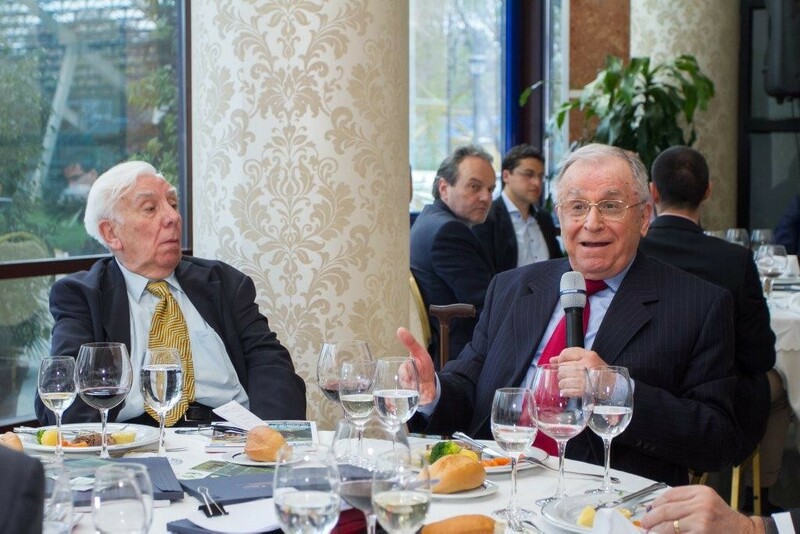 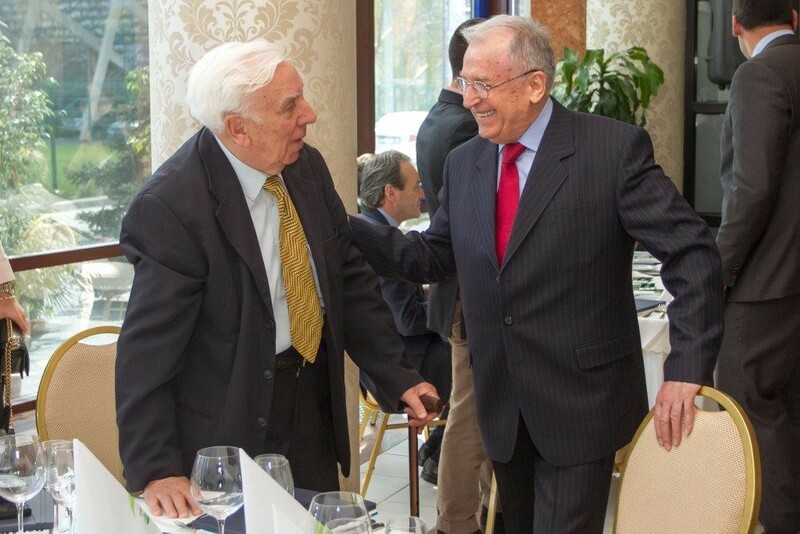 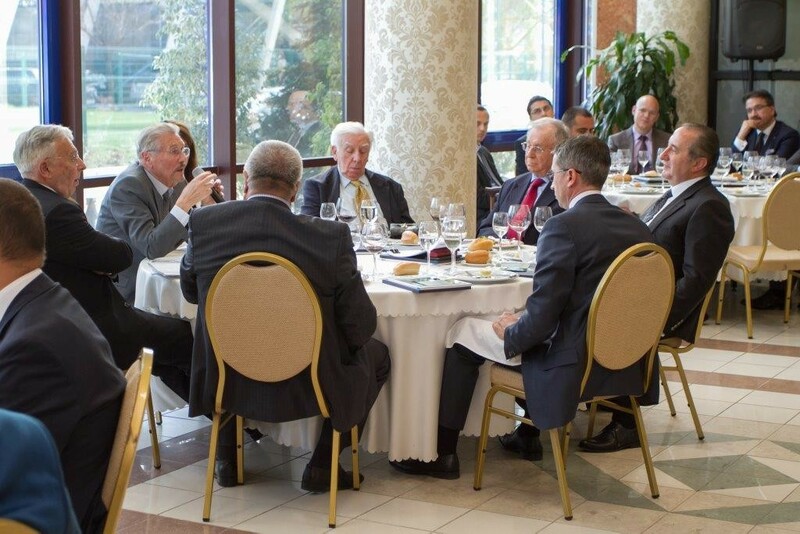 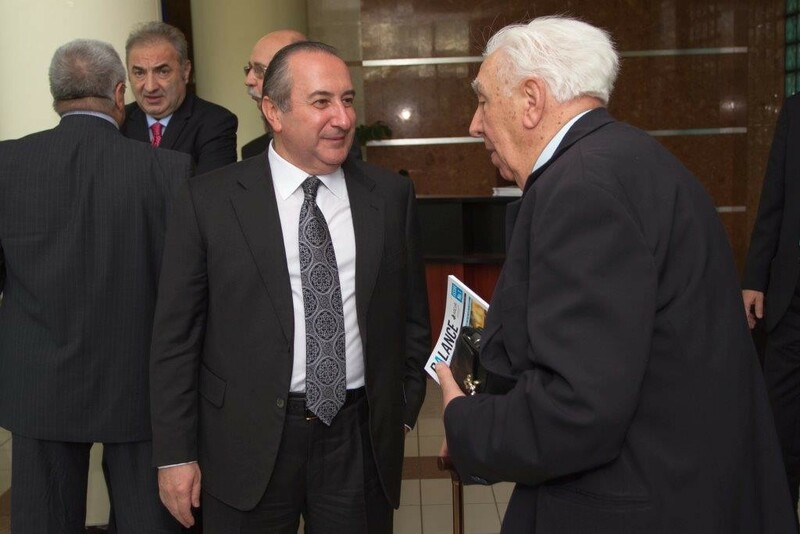 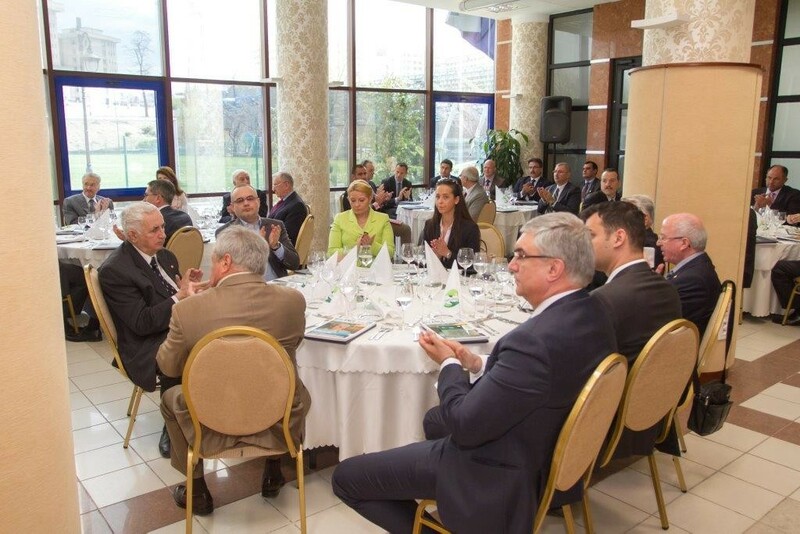 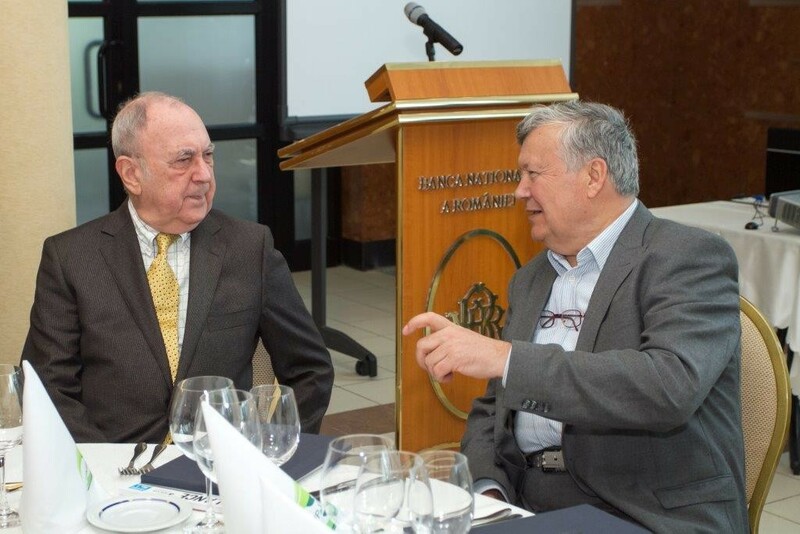 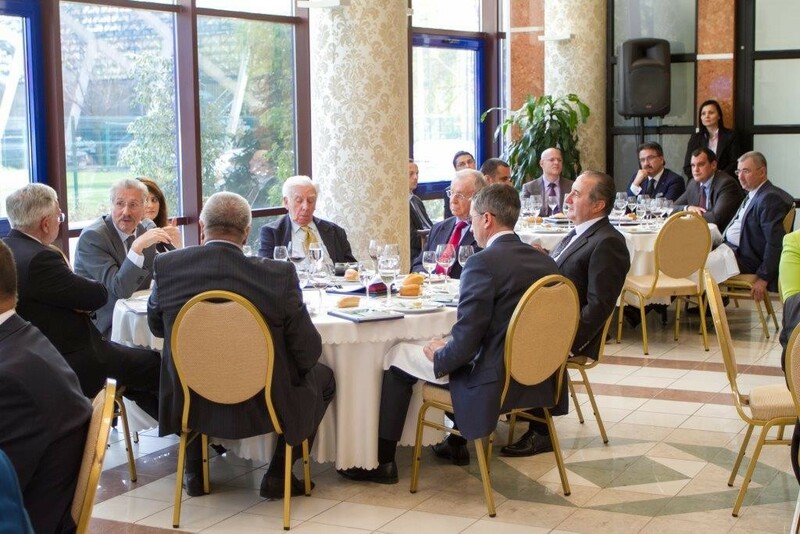 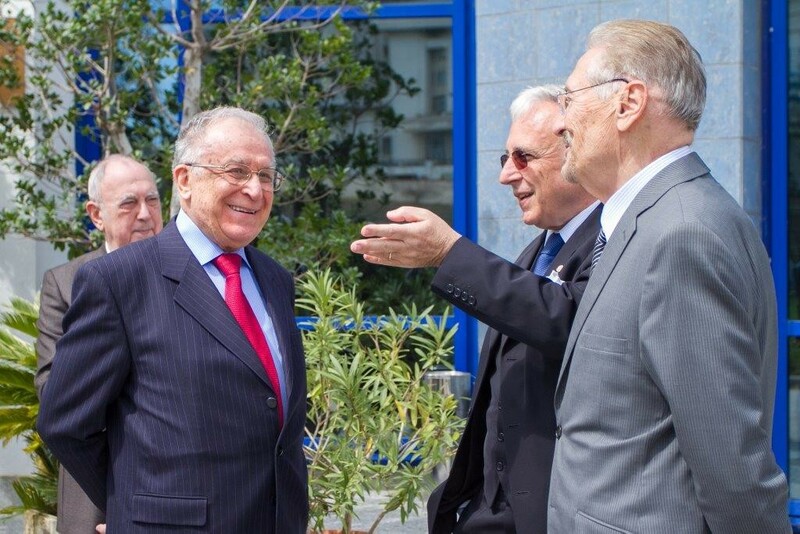 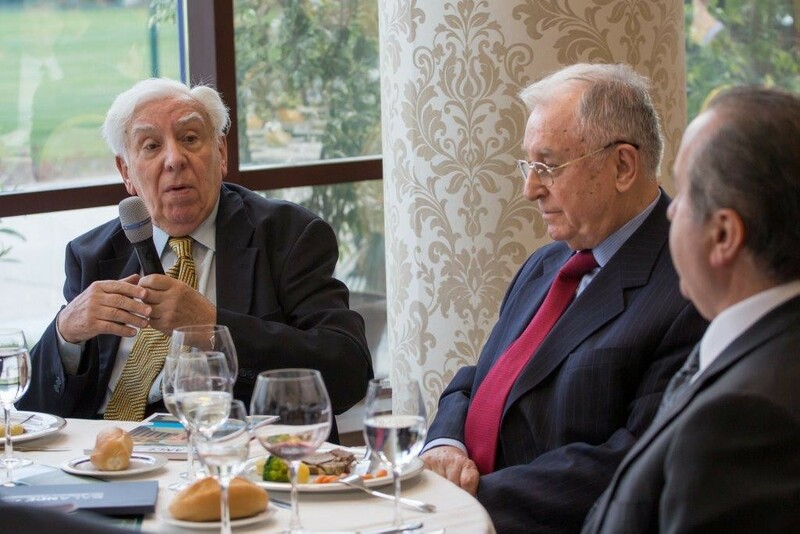 The discussions went on with the discourse of Academician Mircea Malița and opinions from Honorary Members, President Ion Iliescu and President Emil Constantinescu. 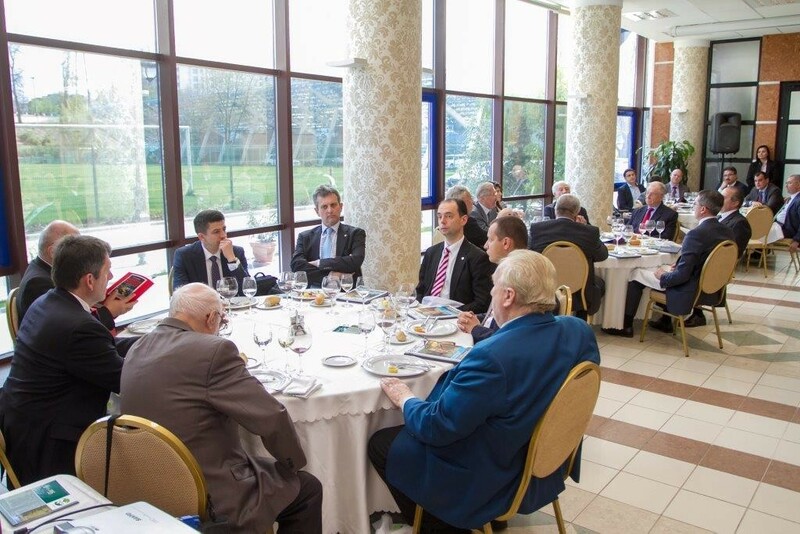 The center of the discussion was the importance of unity and action from the part of ARCoR members, all of them preeminent members of the Romanian society. 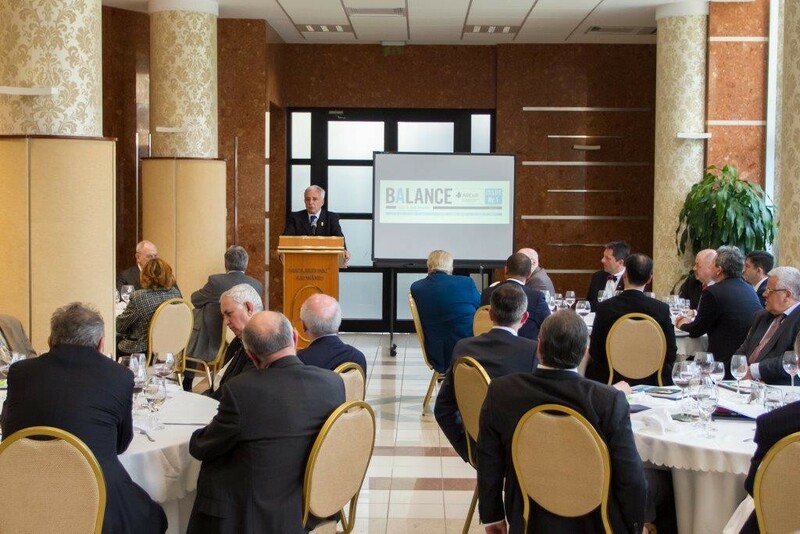 New initiatives of ARCoR members will be discussed and brought to front in the next meeting of the Romanian Association.